Here's the John Stossel piece from 1999 I told you about. Actually, in the first video he's being interviewed about what prompted him to do In The Classroom. I just threw that one in there. The last three videos are the piece made twelve years ago, and that's significant-- you should watch it mindful of when it was made. ORGANIC FOOD IS MARKETING HYPE (Full Debate) from Intelligence Squared US on Vimeo. We had a great family conversation last night, but unfortunately we hadn't all seen or read the same things. Some of us didn't really know what the others were referring to, so I'm posting some of what we discussed, but not everyone had seen. I remember back when we all saw and talked about the same things, and we weren't so spread out. Here's the Rebecca Black video that went viral, and I confess we made fun of it with the rest of the world. Sorry, Miss Black. 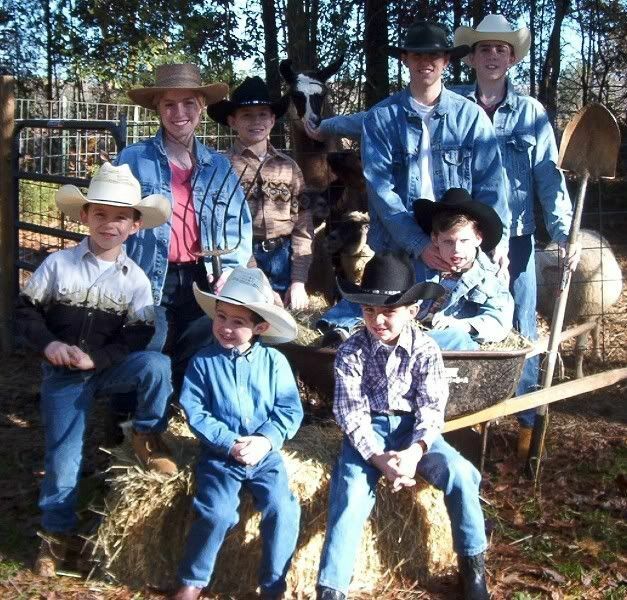 Oh my goodness, I found this homeschooling family of thirteen last night after following an anti-fundy site link, and I just fell in love with them. In fact, after Bible time this morning I had the kids watch their music video below. The link I originally followed was to a self-deprecating homeschool fashion (oxymoron, I know) video they made. It's pasted below the music video. I think it was from there I stumbled upon a blog entry about a concert they had at a certain Bayside Baptist Church. A picture of them standing in the water had the caption: "Clam diggers at Bay of Fundy." L.O.L. Oh my oh my how I love this family!